"Cocotte" or casseroles in English and part of the French cuisine classic pieces that can do anything from bake a piece of dish, roast a filet mignon or serve an onion soup. They are also perfectly suitable for eggs en cocotte, chicken pot pie, cherry pie or mini fondue. Be creative! Revol's eclipse cocotte are sturdy, durable, they don't chip, don't brake easily, they bake evenly and they are naturally non-stick. SERVING SUGGESTIONS: individual baked eggs, chicken pot pie, cherry pie, individual stews, soups and gratins. 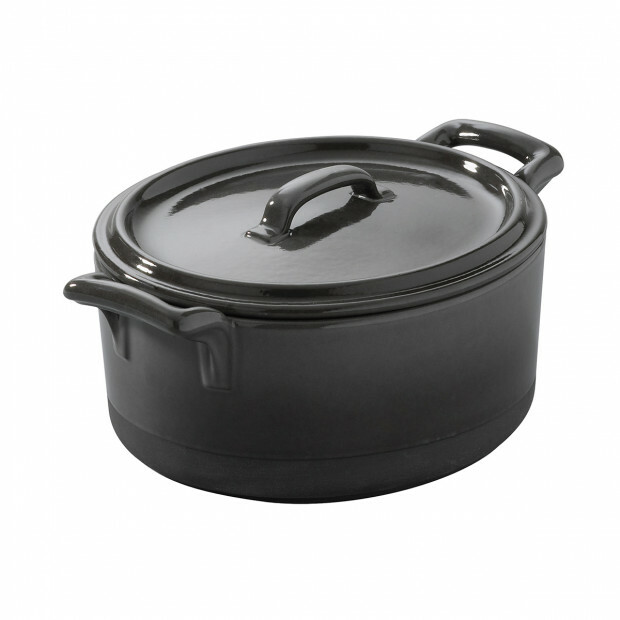 Try our last high technological cocotte : Revolution!